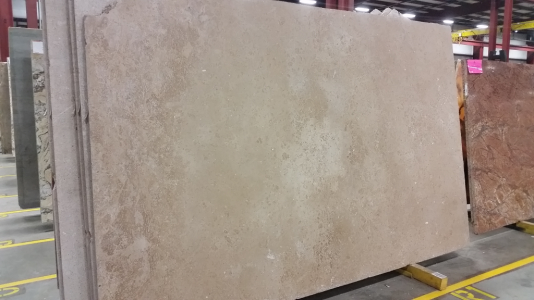 Peach Blend Travertine is a fine stone with rich shades over its surface. The flowing pattern creates a movement like appearance. Travertine surfaces are resistant to heat, moisture, cold and erosion. Their slip resistance feature makes them appropriate for their addition in pool area. Travertine provides a classic look and has been used for embellishing many spaces throughout the ages. Cosmos recommends you to go through the product sample in Spokane, WA before finalizing any material.